QR stands for Quick Response. QR code is the trademark for a type of matrix barcode first designed in Japan for the automotive industry. The QR Code system has become popular in other fields due to its fast readability and greater storage capacity compared to standard UPC barcodes. Applications include product tracking, item identification, time tracking, document management, general marketing etc. 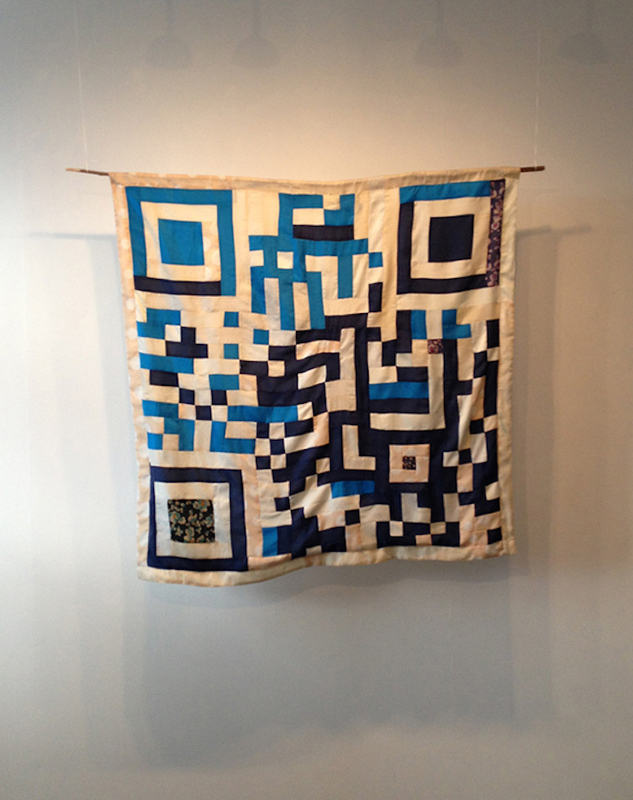 The aim of this silk QR code Quilt is to respond quickly to the question: Who are you? To reveal my identity I will elegantly open my shawl and allow people with a smart phone to scan me. The code will lead you to the site you are at this very moment. The fact that it only works under certain conditions says something about being human. In generating coded patterns computers still score higher in terms of reaching precision. 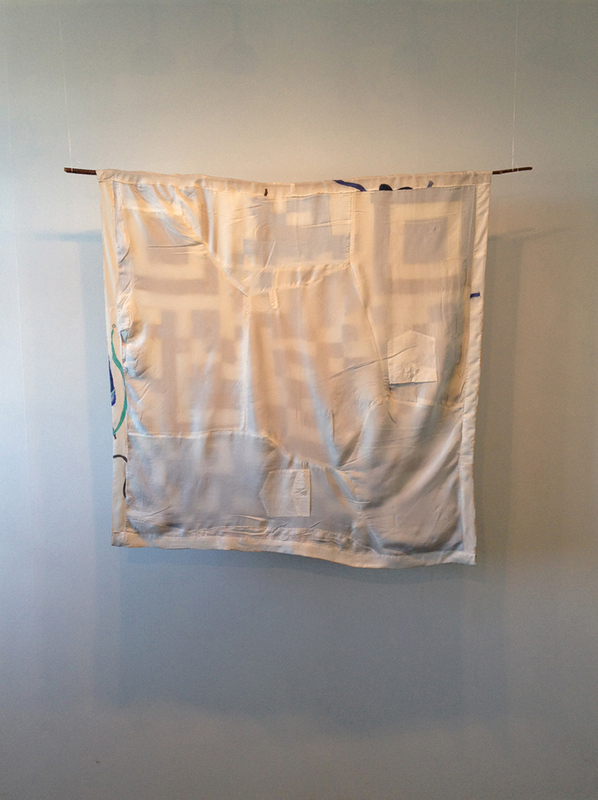 This silk QR Quilt serves as an interface between the world of handcraft and a digital reality.